Shake Shack super fans have stood in line for up to three hours on occasion, just for some not-so-fast fast food. The joint's earned a kind of cult following for its gourmet burgers, fantasy-filled shakes and "anti-chain chain" image. 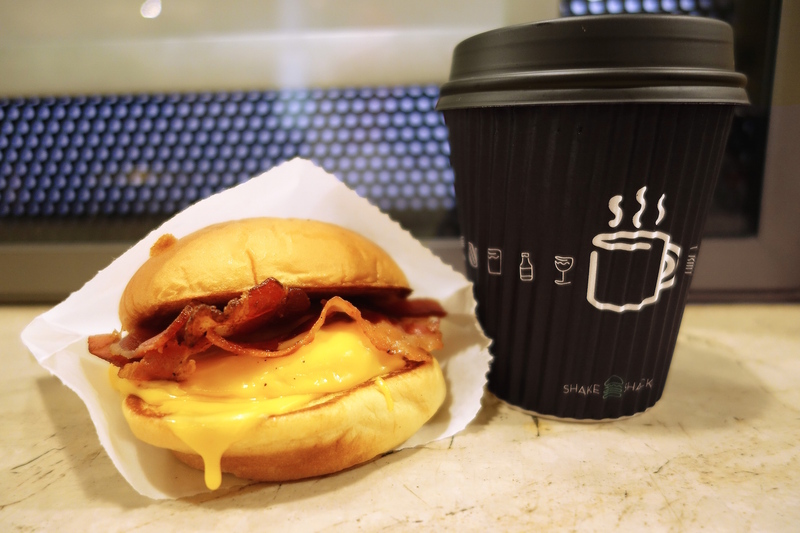 A lesser-known reason to love Shake Shack is breakfast: three of its locations serve morning meals. And though the breakfast menu first debuted in 2013, many of the restaurant's fans don't seem to know its breakfast exists. The Shake Shacks offering breakfast are located inside Delta's Terminal 4 at New York's JFK International Airport, the food court at Grand Central Station in Manhattan, and Washington D.C.'s Union Station. The menu is small, limited to an Egg N' Cheese, a Bacon Egg N' Cheese and a Sausage Egg N' Cheese, all served on the restaurant's beloved non-GMO potato roll. Breakfast items are sold for only a short time, until 10:30 or 11 a.m. depending on the location, but weary commuters will be pleased to know that the three breakfast outposts also serve Stumptown Coffee. Unlike the long, windy lines that grow at the original Shake Shack location in New York City's Madison Square Park, these three Shack spots have a limited wait. Since they're found in places where people are constantly on the go, rushing to catch a train or plane, there isn't much room for lingering. If you want to get your Shack fix but don't have time to waste, ask a pal to meet for breakfast instead of lunch, and eat your potato bun with much less hassle.